Step off the beaten path and head to Boulders Beach and Camp's Bay Beach. Your cultural itinerary includes sights like Robben Island and Pulpit Rock Wine. Change things up with these side-trips from Cape Town: Kraalbaai Beach/Lagoon (in Langebaan), Shark Diving (in Gansbaai) and Hermanus (Grotto Beach, Kwaaiwater, & more). There's much more to do: stroll through Cape of Good Hope, kick back and relax at Bloubergstrand Beach, take your sightseeing to a higher altitude at Lion's Head, and explore the activities along Noordhoek Beach. For where to stay, ratings, more things to do, and more tourist information, read Cape Town trip itinerary builder . Valletta, Malta to Cape Town is an approximately 18.5-hour combination of bus and flight. The time zone changes from Central European Time (CET) to South Africa Standard Time (SAST), which is usually a 1 hour difference. When traveling from Valletta in January, plan for much warmer days in Cape Town, with highs around 32°C, while nights are somewhat warmer with lows around 20°C. Cap off your sightseeing on the 4th (Mon) early enough to travel to Amsterdam. 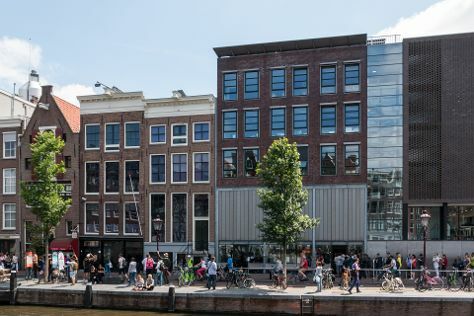 Get a sense of the local culture at Anne Frank House and Van Gogh Museum. Explore hidden gems such as The Jordaan and Dunes of Texel National Park. You'll find plenty of places to visit near Amsterdam: The Hague (Louwman Museum The Hague, The Mauritshuis Royal Picture Gallery, & more), Haarlem (Sint-Bavokerk (Church of St. Bavo), Grote Markt, & more) and Strand van Katwijk aan Zee (in Katwijk). Spend the 20th (Wed) exploring nature at Nationaal Park Weerribben-Wieden. Spend the 4th (Mon) exploring nature at National Park de Loonse en Drunense Duinen. There's still lots to do: explore the world behind art at Rijksmuseum, wander the streets of Leidseplein, explore the wealth of natural beauty at Nationaal Park Duinen van Texel, and steep yourself in history at Museum Het Rembrandthuis (Rembrandt House). To see other places to visit, ratings, photos, and tourist information, go to the Amsterdam trip itinerary planner . Traveling by flight from Cape Town to Amsterdam takes 15 hours. Alternatively, you can do a combination of flight and train; or do a combination of flight, shuttle, and train. The time zone changes from South Africa Standard Time to Central European Time, which is usually a -1 hour difference. In February, Amsterdam is much colder than Cape Town - with highs of 7°C and lows of 0°C. Wrap up your sightseeing on the 5th (Tue) early enough to travel back home.